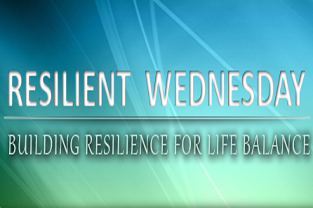 We continue our four part series on Building Resilience in 2015 and this week it’s all about your family. I’m committed to building our family resilience this year by focusing on improving my praise and compliment giving to my family members. By reinforcing what we do well, our strengths, we build hardiness. Hardiness creates self-assurance and the capacity to withstand difficulties. Here are some ways to build up for family’s endurance and toughness. Celebrate success: Watch how professional athletes celebrate every little thing from a first down to a touch down. These guys know how to party. Try taking on that same attitude around small wins at home. Give your spouse a hug for making vacation plans or tell your kids you are proud of them for helping a friend. Encourage risk taking: We hear about “helicopter parents” who are always trying to protect their kids from danger but like vaccines that actually give you a small amount of virus so we can build antibodies to the disease, we have to subject our kids to a certain amount of challenge so they can see what it is like to face adversity. Consider how much healthier and happier you and your family can be this year by acknowledging all the amazing things they do each and every day. Our families are our primary source of support and love. See if you can build that up every day.